Animal-assisted therapies (AAT) are approaches to mental health care that incorporate animals into the psychotherapy process, emphasizing the bond created during human-animal interactions. 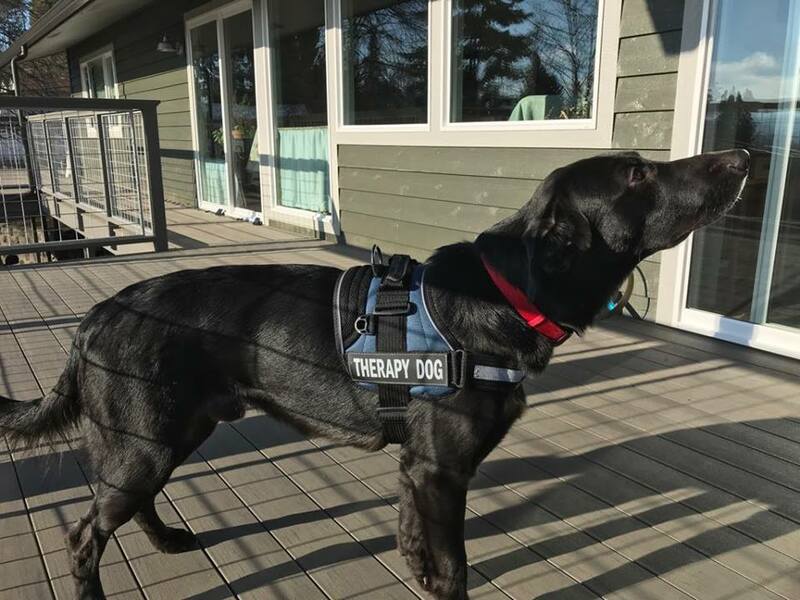 Emotional recovery and positive psychological transformation often occurs when the relationship between an individual and the therapy animal grows. Animals that might serve in a therapy capacity include, but are not limited to horses, dogs, dolphines, fish, birds, and small pet rodents such as rats or hamsters. Organizations offering AAT might give participants a variety of animals to choose from by operating on a large farm or creating a type of petting zoo filled with AAT-approved animals. As long as a mental health professional is involved in the psychotherapy process and the animal participant(s) is trained or approved for use as a therapy animal, the specifics of AAT can be determined by the therapist and person receiving therapy. Some residential treatment centers are organized around long-term AAT, offering a camp-like environment, programs for nature immersion, animal training sessions, and other opportunities. Some are focused on a particular aspect of mental health. Grief camps, for example, offer children who have experienced personal loss the opportunity to work through emotional experiences with horses or dogs. Owning a therapy or companion animal, such as a dog trained to sense and alleviate anxiety, is only loosely considered a type of animal-assisted psychotherapy. AAT, by definition, involves the active participation of a mental health professional. Studies that evaluate the benefits of AAT generally do not include evidence gathered from this particular population. People of any age can see benefits from interacting with animals in a psychotherapy setting. Young children often see dramatic improvements in interpersonal relationships with equine-assisted therapy. For example, young children who are unable to express physical and emotional comfort and closeness with others, or find it difficult to do so, may more readily form that type of bond with a horse or other animal. This unique bond can help the child develop traits like patience, respect, empathy, acceptance, confidence, assertiveness, and responsibility. The unspoken communication between child and animal can foster verbal and nonverbal communication skills in the child. All of these attributes help children maintain secure and mutually respectful relationships during difficult times throughout their lives. Studies have shown animal-assisted psychotherapy also has a positive impact on aging individuals and the elderly. AAT can be especially effective for people who used to have dogs or other animals but are no longer able to care for their own animal. Being in the presence of pets again can help remind people of the love they had for previous animals, stirring memories and reducing loneliness. A wide variety of animals can assist individuals in psychotherapy, and some may need to exercise caution around some animals. For example, horses can pose significant dangers due to their weight and size, especially for children. Some people may experience allergies to some animals or their environments, such as dogs, horses, and hay. Consult a physician if you have any health conditions that might affect or complicate an experience with animal-assisted psychotherapy. As always, collaborate with your mental health professional to select an animal-assisted modality that will provide the most benefit and lead to positive emotional progress. Animal-Assisted Therapy: Does It Work with Stuffed Animals?